Adam is a founding member of the 6th Avenue Team at Ingalls & Snyder. Adam Janovic has been working with clients to realize their goals for over fourteen years. Adam is a member of The 6th Avenue Team at Ingalls & Snyder, which designs portfolios to align with clients’ goals and needs using tax-efficient, risk-mitigating strategies. 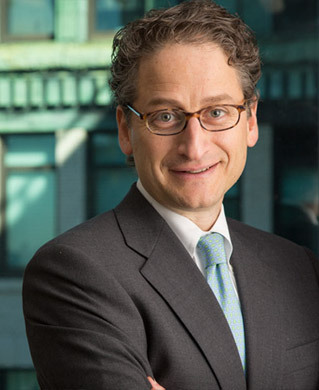 Before forming The 6th Avenue Team, Adam spent ten years as a partner in an Ingalls-advised private investment fund focusing on distressed debt and special situations. He joined Ingalls after serving as President of Janovic/Plaza, a fourth generation, family-owned chain of paint and home decorating stores in New York. Adam sold Janovic/Plaza to Benjamin Moore in 1999, having grown the business threefold over a nine year period. Adam has lectured on the challenges and nuances of family business matters at Universities, clubs and private business organizations. Previously he worked in the Corporate Finance department at Smith Barney. Adam has been able to take the experience of transitioning his own financial needs and goals post the sale of a family business and incorporate that in working with individuals experiencing similar events associated with life changing financial moments. Adam received a B.A. from Colgate University with a major in economics and an M.B.A. from Cornell’s Johnson School of Management. Adam’s outside activities have included nine years of service as a Board Member of Echoing Green, a foundation providing start-up funding to social entrepreneurs. Separately, Adam has provided financial backing and counseling to numerous start-ups and early stage organizations. Adam lives in New York City with his wife, three children and an awesome dog.